When Is it Too Late to Start Studying for My AP Exams? What Are ACT Science Tips? Standardized tests are crucial for getting into your college of choice. One of the most prestigious standardized tests is the American College Testing, or ACT, in science. The ACT in science is an intense examination that requires critical thinking skills and reading proficiency. 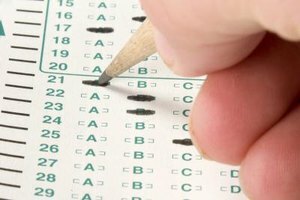 Since the ACT science test involves a high degree of metacognition, many universities across the United States base their decision of admission on this test. In fact, high schools across the nation began to consider the ACT science test as a requirement for graduation. While there is pressure to get a high score on the ACT science test, students can aim for it with proper training and practice. As you prepare for the ACT science section, work on understanding the test structure, time management skills and developing valuable reading skills. The ACT science test is a time-based exam covering three main sections. Data representation, research summaries and conflicting viewpoints are the primary parts of the ACT science test. In a 35-minute long test, students need to be able to answer 40 multiple choice questions, including reading seven science passages. Each reading passage consists of a set of four to seven items, ranging from interpreting graphs, charts or tables to making inferences. In addition to the format of the test, useful ACT science tips consist of knowing the type of questions you will encounter. For instance, the data representation section entails 30 to 40 percent of the questions, which mostly include reading graphs, charts and tables to make an accurate interpretation. Next, the research summaries section consists of 45 to 55 percent of the questions. By using the information in the text, you will be able to interpret and draw conclusions. As well as deriving findings using evidence-based data, you will also evaluate research summaries to answer analytical questions. In this section, you will most likely use basic science terms to evaluate scientific data. Perhaps one of the most challenging sections of the ACT science test is the conflicting viewpoints. Within the conflicting viewpoints part of the exam, you will encounter 15 to 20 percent of the questions. Unlike another standardized test, the section evaluates your ability to use argumentative evidence to determine whether ideas are valid or not. Learning these test-taking skills takes time and training. During your high school years, counselors recommend you take three years of secondary science. Preferably, you need to attend and master one year of biology, one year of physical science and another earth science class. The ACT science test is not the type of examination based on factual information. A common misconception is the test is about regurgitating facts and numbers. However, the ACT science test involves your reading skills, interpretation and thinking process. The ACT science test scores range from one to 36 raw points. While 36 points is the highest possible score, the raw score is the number of correct answers on your test. However, ACT scoring considers the level of complexity of each question more than the comparison of scores between test takers. Like most standardized tests, the ACT combines raw scores to generate a composite score. Then, each sub-score represents the section of the test in data, scientific investigation and evaluation of models, inferences and experimental results. On your score bar, you will see an ACT Readiness Range that displays your sub-score on a purple line. Above the performance sub-score content area bar, you might see a checkmark. A checkmark indicates you met the ACT College Readiness Benchmark. Attaining the checkmark of validation takes time and dedication. While knowing the structure of a test is a good portion of most ACT science tips, developing test-taking strategies becomes an essential preparation technique. One of the most efficient ways to prepare for any exam is to know the material. For instance, you might need to understand basic concepts but not how to convert temperature units. After taking several practice science tests, you might realize that you need to know how to read temperature tables and charts more than making any calculations. A technique that allows you to decipher values quickly and efficiently is worth practicing. While many ACT science tips and tricks suggest focusing on your strengths, you might want to consider adding test-taking strategies to develop your reading skills. Since most of the ACT science reading passages evaluate your thinking progress, useful methods to become an active reader during tests are excellent ways to ensure you use your time wisely. For instance, use the reading booklet as a guide to write main ideas and specific details as you are reading the passage. Next, read the question to grasp the main concept. Then, answer the question based on your understanding of the reading. Learning a method of reading comprehension during standardized tests takes commitment and practice. Consider the high school science classes you choose to maximize your opportunities to learn these skills. A critical approach to science reading is one of the most valuable ACT science tips you can learn in school. Other ACT science tips and tricks that are often overlooked are developing skills to read graphs, charts and tables. While students consider interpreting scientific data an easy task, standardized tests analyze your ability to make conclusions about correlations and relationships between variables quickly. Experimental data mostly show true representations of diagrams and visual tools. Investigating the information with an analytical approach develops your ability to reconstruct the findings of a scientist. However, a straightforward manner is not apparent. As a future college student, scrutinize the information with keen observations to deduce the main points of the visual tool. When graphs, tables and charts show data in complex ways, the training to look for specific ideas will help you determine the best possible answer quickly and efficiently. Although time is limited during the ACT science test, you can develop ways to maximize every minute with practical time management techniques. An overlooked test taking tip is time management skills. Many ACT science tips and tricks suggest you begin the test with the most straightforward questions and move on to the more difficult ones. Even before starting the test, practice the best method to approach the test. Develop a schedule to study each section in depth. Ask yourself whether you need help in interpreting data or developing more reading skills. The more you know about the best ways you learn, the easier it will be for you to improve test-taking strategies. One of the most critical ACT tips in the science section is to create a time management schedule to meet your needs. Use a timer as you practice the sample questions or reading passages. Then, develop time management methods that can help you transition from reading the problem to seeking the answer. Other ACT tips in the science section are to answer the questions you know confidently. Since you can practice the questions that take you less than a minute to respond, go to those questions first. However, be cautious. Excellent organization skills are essential when you are skipping over questions. You need to know for sure or have a marking system to know which questions you skip. Then, come back to those questions if time allows. That is one of the reasons you need to practice extensively before taking the actual test. More important than developing cognitive skills and time management techniques are healthy personal habits. Whether you are taking the ACT science test or any other test, create healthy routines. Eat healthy meals, create sleep habits and exercise to allow your brain to relax and acquire the necessary learning skills you need. Without a doubt, the ACT science test isn't easy. The ACT tips for the science section give you ways to develop reading comprehension skills, so you can use basic terminology to make valid conclusions. However, students may not consider how crucial the reading portion impacts the scoring. While reading skills are lifelong learning experiences, you might want to sharpen those early language skills learned long ago. Aside from knowing the basics of seeking the main idea and supporting details, look for methods that support learning critiques and evaluation. One of the vital skills to learn is to focus on understanding the reasoning and impact of a reading passage and structure. As you use the critical skills learned in other classes, you will develop more metacognition skills in science. Reading science passages is no different from reading any other literary work. You might need to practice seeking specific information. When reviewing basic reading skills, consider which last-minute ACT science tips apply to your needs. Do you need a review in identifying main ideas and context clues? Perhaps one of the best last-minute ACT science tips is to focus on ways to improve your understanding of reading passages with the questions. Similarly, as in any reading strategy, read the question first to find out what information you need to look. Then, develop a technique to read the passage while seeking the information. While the tactic of knowing the question before reading the passage works well for some students, this method may not work well for those students that need to refer to the passage often. Instead, focus on determining the main idea, the content and the structure of the passage. Part of the process is learning to decide what areas you need to concentrate on. After many practice tests and sample questions, take a reflective evaluation of the necessary steps in improving. Where are the sections that you need to practice more in reading? As a result, practice and sample questions can indicate the parts that perhaps you need additional or outside help on. Seek help from your counselor or teachers for ways to improve reading or science. Most schools have ACT workshops where students practice sample questions from the official ACT website. Besides workshops, many high schools offer after-school tutoring or ACT practice sessions. Take advantage of those opportunities to refine your skills and learn new ones. If those resources are not available to you, seek tutors or learning centers to prepare you. Most learning centers have experienced or retired teachers that can help you with test-taking strategies for ACT tests. As with any standardized test preparations, do not wait until the last minute to prepare. Designate a time, schedule and plan of action to study before the test date. Avoid distractions that can deter your future or prospective career. Be honest with yourself. 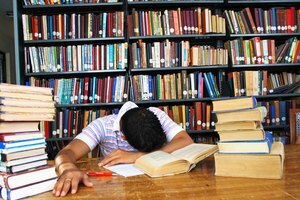 What distractions can you limit to improve your study skills? Creating good organization skills for your studies leads to improvement in scores. Dreaming about attending your college of choice can also help. However, take the necessary steps to achieve your dreams by developing strategies to help you get there. Barbara earned a B. S. in Biochemistry and Chemistry from the Univ. of Houston and the Univ. of Central Florida, respectively. Besides working as a chemist for the pharmaceutical and water industry, she pursued her degree in secondary science teaching. Barbara now writes and researches educational content for blogs and higher-ed sites. What Classes Do I Need to Take for the MCAT? Mascareno, Barbara. "What Are ACT Science Tips?" Synonym, https://classroom.synonym.com/what-are-act-science-tips-13714950.html. 21 September 2018. Do You Have to Take Classes or Can You Just Take the GED Exam?